Employees use the program’s point-based rewards system, which assigns point values to every action possible: setting up income and expenses inside the budget tool, reading articles, measuring stress, etc. All of these items, plus the leaderboard, are seen on the Employee Dashboard. 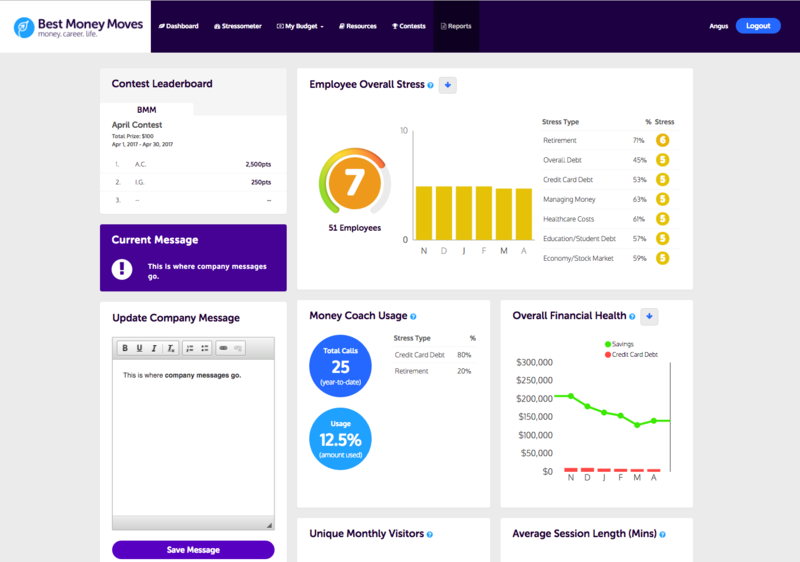 Employers also get a dashboard. 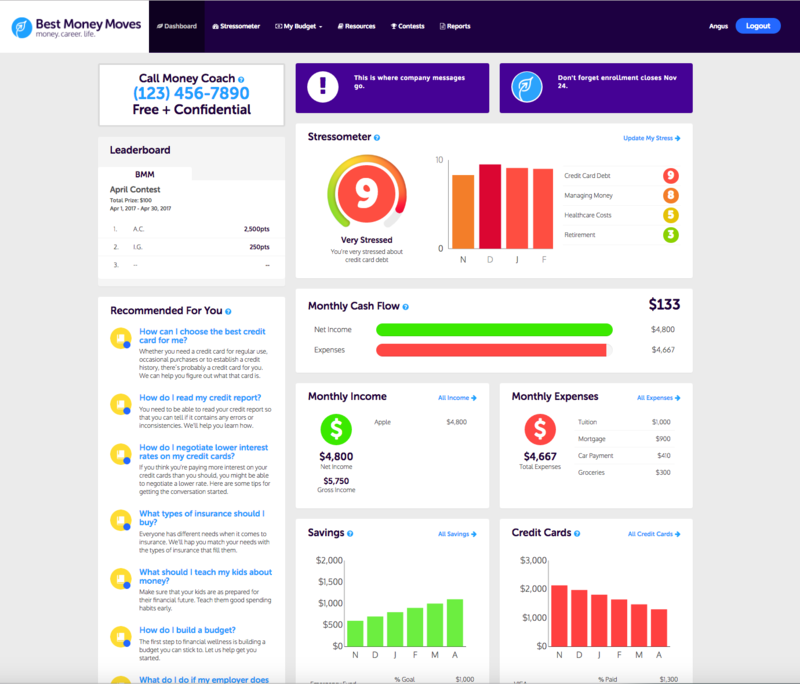 The “Reports” button provides a real-time, statistical look at usage: unique visitors; minutes online per visit; an overview of those who have measured stress; what categories of stress they’re measuring; money coach sessions; and, a snapshot of the overall financial health of employees. No individual data can be accessed. In addition, HR can run its own contests, and have their own messaging portal to facilitate additional communication. 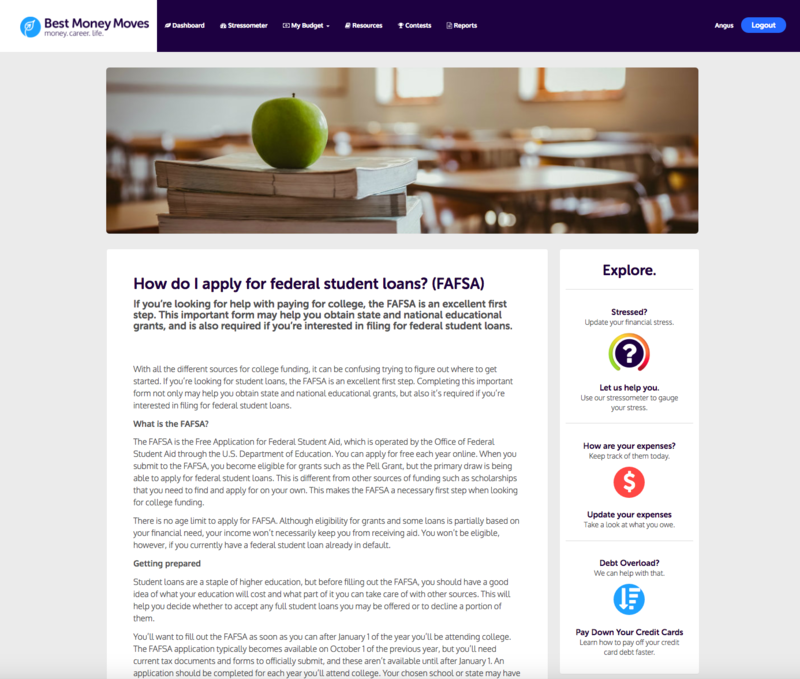 Best Money Moves sells nothing and is not a “robo-investment” platform because we believe that employees need unbiased information they can trust and they’re looking to employers to provide financial wellness education. Easy to use. Easy to implement. Easy to afford. focused, productive employees with lower healthcare costs.